Hi there! Today I have a new selvage quilt block tutorial for you. 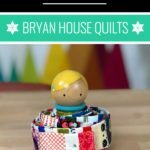 Using selvages in a quilt is a great way to feature a completely unique, colorful fabric. 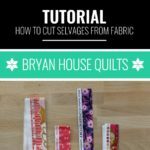 In my last few videos, I showed you how I cut and store my selvages and how I make Selvage Fabric. 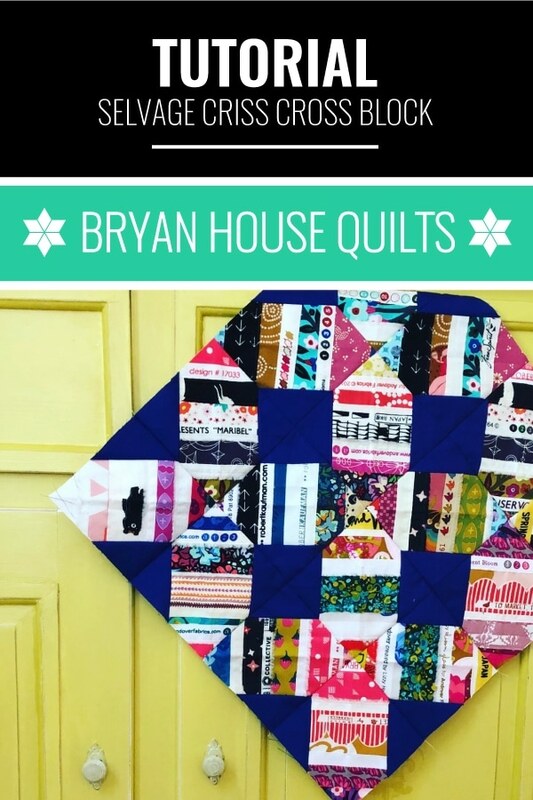 In my new YouTube tutorial up and posted, you’ll learn how to use Selvage Fabric and how to make this Selvage Criss Cross quilt block, also known as a lattice quilt block. 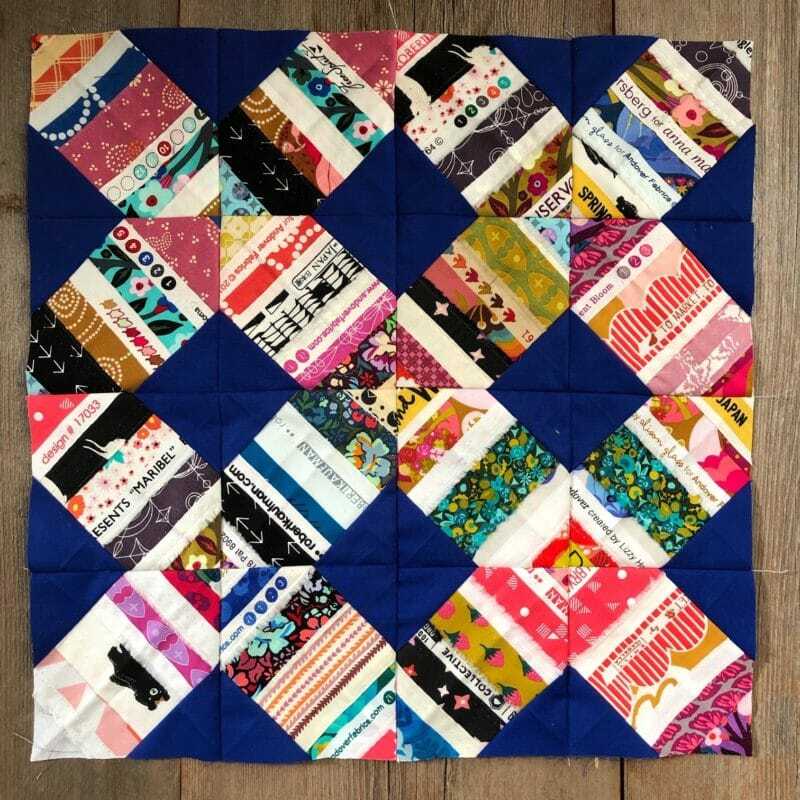 This Criss Cross block design is an ideal way to show off selvage fabric, and there are a ton of ways you can arrange these fun little blocks – X’s, O’s, and arrows just to name a few. So far, I’ve put together 4 of these Criss Cross Selvage quilt blocks but I think I’ll keep going. This would make such a great quilt! 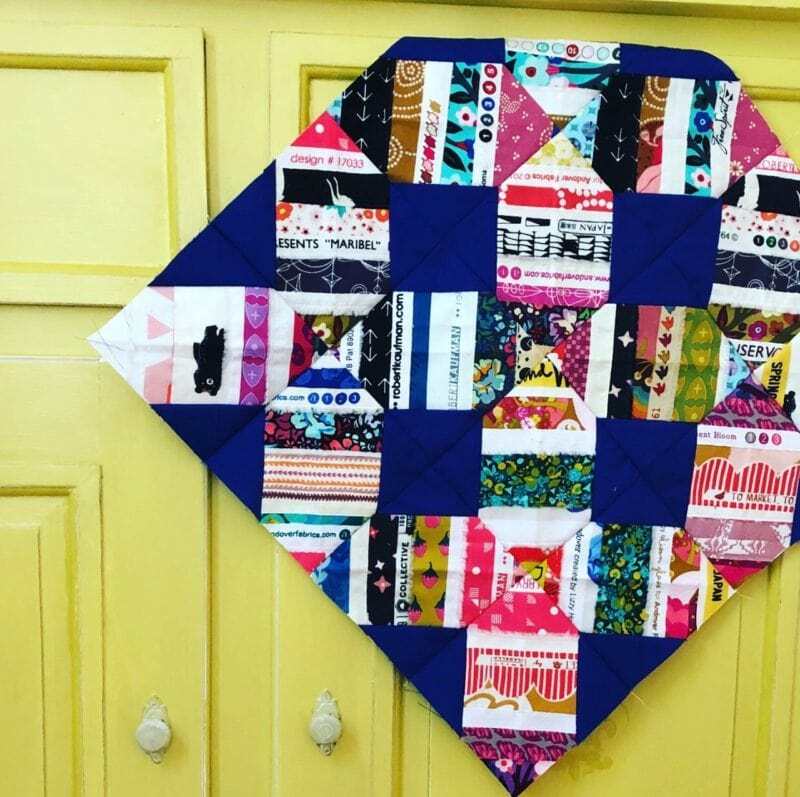 So my plan is to keep sewing these quilt blocks until I have 64 in total. I will need to make more selvage fabric though! And I actually may need to purchase more fabric to collect some additional selvages, ha! Would you like a cheat sheet to print out as you view the video tutorial? Good news! 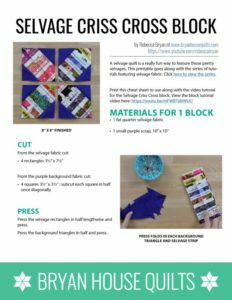 For subscribers, I’ve put together a cheat sheet to go along with this Criss Cross Selvage Quilt Block Tutorial. (Find the printable in the Resource Library!) I thought having a print out might help as you watch the tutorial. Download, print and enjoy! I cannot recommend enough having a spinning cutting mat. I don’t have a lot of notions, but this one is worth it! Also, here’s a link for Washi tape. I love using Washi tape on my rulers and templates. 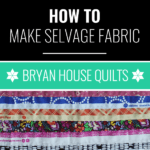 You do realise it’s called Salvedge, not Selvage?